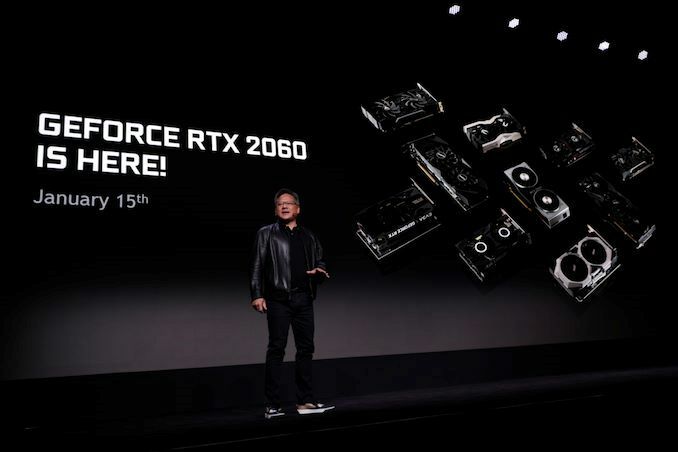 NVIDIA has announced the new GeForce RTX 2060 at CES 2019. This card targets the GeForce GTX 1070 Ti and will cost USD $350. This new gaming card is probably based on the TU106, like the RTX 2070 and would have 1920 CUDA cores, 6GB GDDR6 and a TDP of 160W. The RTX 2060 is expected on January 15th 2019.